i've decided to go the crockpot route. which left me with 28.6g of powdered vine. and set the temperature switch to 'low'. i picked this one up from my local charity shop for £8 ($15). the waters' temperature reached a max. 78°c in about an hour. i added the powdered caapi evenly and replaced the lid on the crockpot. using a double layer of cheesecloth. this brew had reduced by exactly a half, giving me 250ml. i will leave the brew for a further 24hrs. before filtering for the second time. this should leave me with approx. 500ml of brew in total. 1) are my liquid proportions correct for the crockpot method? or does it not make much difference? and i'm not sure if this is a good thing or not? 5) which method should i use to reduce down the final mix? Use 70 or 80 grams next time. Always made a double dose. You may have such a good time with one dose you will want to extend the experiance! It does not realy matter. A liter or 2 per extraction is ok. Just save the extractions and reduce them down to drinkable amounts. 100 to 200 ml per dose seems to work fine as a final dose. Caapi by itself is a great medicine. It is not all that visionary, but it does give a sense of well being and calmness. This effect id very profound and can last for a week after the dose wears off. Caapi itself and the extraction is perficly legal. It has less side effects than Prozac, and in my opinion is more usefull, but one must observe ones diet when drinking it. If you wish you can add some chacruna to the mix right at the beginning of the extraction. For a double dose 60 or 70 grams is traditional, and very powerfull. The great part about this is that you have all the calmness of the Caapi plus the visions of DMT. LOL! It beats shrooms in my book.. The only bad part is that once you add chacruna its ilegal. He He, never stoped me, just have to be stealthy about it in the real world. I sould say that if you add chacruna to Caapi you have the have the mother of all shroom trips. More than just visions and insite, its a medicine for the body and mind as well. You always feel better after the experiance than you did before it. It sticks with you long after the trip also. The crock pot is the way to go. Its the Hippy3 huasca tek. LOL! He wrote about it a few years ago. and develop a relationship with it. but i am in no rush to add this. roo, is there a link to hip's tek? which i based this preparation on. He mentions it from time to time. There is a thread or 2 there with his mention of it. It is by far the best way to go for any extraction. not to hijack the thread, but i've been thinking about preparing some ayahusca this way and when i was looking for caapi, i came across several different varieties (colors)... I was just wondering if one was much more potent than another, or if they were all pretty much the same? i just found an <font color="0000ff">archived thread</font> of yours which pretty much answers all my questions. hope you don't mind me quoting from it. <font color="ff6000">answer:</font> The DH2O should be mixed with the vinegar before putting it into the water. Once you have it mixed, just pour it over the ground up leaves and vine. <font color="ff6000">answer:</font> Straining is good for 2 reasons. The first is the fine plant material will irritate your stomach if you drink it. The second is that the extraction will be easier to burn during the reduction phase. Don't worry about losing too much of the good stuff as its in the DH2O and not the plant material. <font color="aa00aa">question:</font> should i do a third brew? <font color="aa00aa">question:</font> which method should i use to reduce down the final mix? <font color="ff6000">answer:</font> For the reduction phase a large porcelain turkey roaster is ideal. Preferably one that is new, if not new than VERY clean. One can do this on the cook top but I prefer the oven. Just preheat the oven to 400 degrees. Place the pan containing the extractions into the oven and bring the heat down to about 200 degrees. The liquid should very lightly boil, but a roaring boil may destroy the brew. We want to get rid of the excess DH2O and the acid. Vinegar will boil off before the water. Once the liquid comes down to about 200 or 300 ml it should be tasted. If it tasts acidic, add more DH2O and reduce it again. Usually after the second reduction the vinegar is gone. 100 to 200 ml per dose is good the first time you do this as its very easy to burn. 75 to 100 ml is actually better. The brew should not be thick, but almost the consistency of water. I have seen the black but never used it. I have alot of red Caapi right now. I like the red so far. It gives the brew a nice color. The purge seems stronger with the red. The physical healing effects are more pronounced. Llama, have you had any experiance with the black Caapi? My brews contain Caapi (right now red), Chacruna and/or Chalaponga. I also sometimes add 2 or 3 leaves from the brugmansia tree. It depends on what I am trying to acomplish with the brew. I like the effects of Caapi. The best brews go 40 to 60 g per dose in my opinion. "question: should i do a third brew? I think 2 works but 3 seems like a better number. The key seems to be time. One just has to let the stuff brew. That is the greatest advantage to the crock pot. You just load it up and forget about it. LOL! Not too long though, but you do not have to babysit it. LOL! Yea I found a wholesale deal on the red! Roo, have you ever tried the method of extracting mimosa and then letting the final extraction evaporate comepletely off at low temperatures, then scraped up and put in capsules? Maybe for those who happen to have mimosa and rue on hand by coincedence it would be easier than drinking a mimosa brew? A simple water rue extraction wouldn't be nearly as bad as a big glass of mimoshusca. I have not done this with Mimosa. I should give it a second chance. The extraction is VERY hard to get down. I have done this with Rue. The "salt" tek is definatly the way to go. I always warn everyone not to eat the seeds or pieces of them. For me at least it realy disagrees with me. I realy like Rue extracted this way. One gets nice crystals. I have smoked them at the peak of a shroom trip and I VERY much think everyone should try this at least once. Rue seems to have the same calming effect Caapi does. 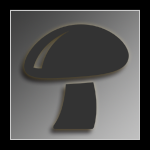 With the shrooms its a whole new world to explore, they compliment each other quite nicly. Is there any liquid you could extract mimosa with that would evaporate easily? I'll search for the rue salt tek. I want to take some rue alone to see how I react to it. so i've put the caapi in for another round. and checked the acidity with a ph tester. Hehehe nice, hope it works out well. Sorry to ask another question here, but is DMT soluable in ethyl alcohol, such as everclear? It seems that Phalanax was doing mimosa with vodka or gin.....how about everclear to extract, even with light heat as one would do the mushroom extraction. Then you could strain it and let it evaporate and load into capsules? I tried ayahusca this weekend mimosa and rue brew it was very hard to get down very very bitter. I started to fell weightless then it all came back up i could not hold it down. i think next time i will try to extract the mimosa.